Ethan joined Lincoln Property Company in the Spring of 2012. As the Director of Research, he is responsible for producing quarterly statistics and market reports as well as compiling and analyzing economic and demographic data. Additionally, he supports LPC’s Investment Team with the underwriting and financial analysis of prospective acquisition opportunities as well as full due diligence reporting. Ethan began his Real Estate career in 2008 with Coldwell Banker, where he was an Associate with the Urban Communities division. His responsibilities included research, marketing and project analysis. 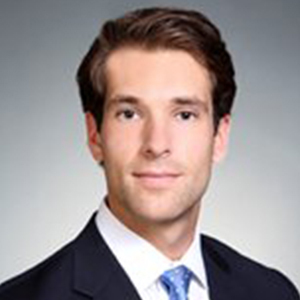 He currently holds an active MA Salespersons license and is an active member of NAIOP and BOMA. An Economics major, Ethan graduated from Middlebury College in 2008. He was born and raised in Harvard, MA where he attended The Bromfield School.